This is an unflinching portrayal of the dark side of the new South Africa, where to avenge what he loves, Robert Dell becomes what he hates. On the run after being framed for murdering his family, South African journalist Robert Dell's only ally is his oldest enemy: his father. Bobby Goodbread, an ex-CIA hitman just sprung from prison for atrocities he committed whilst in the employ of the apartheid regime, joins his son on a bloody cross-country road trip, bringing his killing skills and his hunger for redemption. 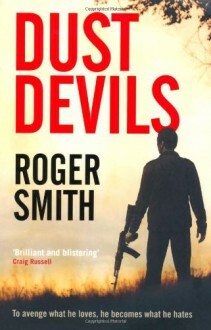 From picture-postcard Cape Town to a Zulu tribal valley where AIDS, savage feuds and poverty have left the population as gutted as the parched red earth, father and son hunt down assassin Dog Mazibuko, uncovering a conspiracy that reaches to the highest levels of the South African State. They cross paths with another man on a desperate mission: ex-investigator Disaster Zondi, returning to the place he fled as a youth to rescue a teenage girl - who may or may not be his daughter - sold into marriage to Mazibuko. These men are thrown together in a spiral of violence and retribution in a country where corruption and anarchy have replaced brutal tyranny and human life has never been cheaper.